For the kids' birthdays, I always make cupcakes. I do some mini's for the people who want just a little bite and then regular size for the kids and the sweet tooth adults. I feel like it's less dishes and easy for someone to take one or not, but maybe I'm just not a cake person. Hmm, maybe I'll have to make a cake one of these years ... Naaa! Of course, I always try to sneak something healthy into the dessert to keep everyone on their toes and I went all out this year. 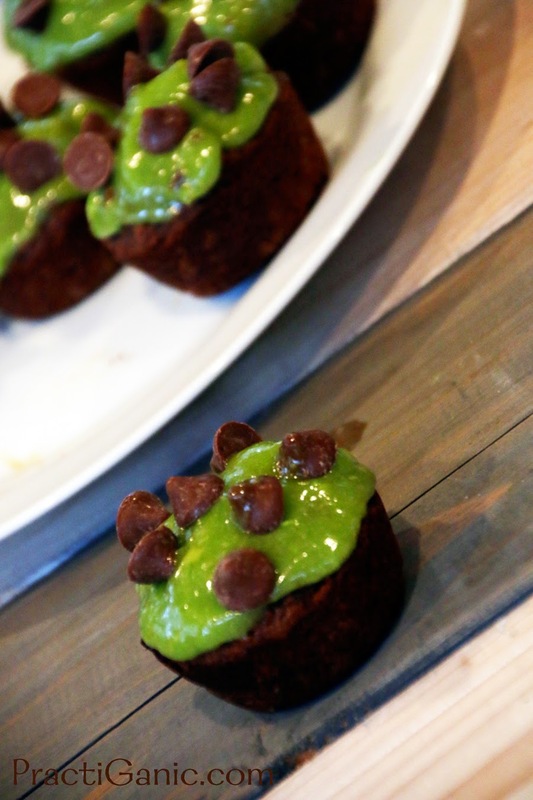 For Gabe's birthday, I made Chocolate Black Bean Cupcakes with Avocado Frosting! When it was time for dessert, everyone was asking what they were. 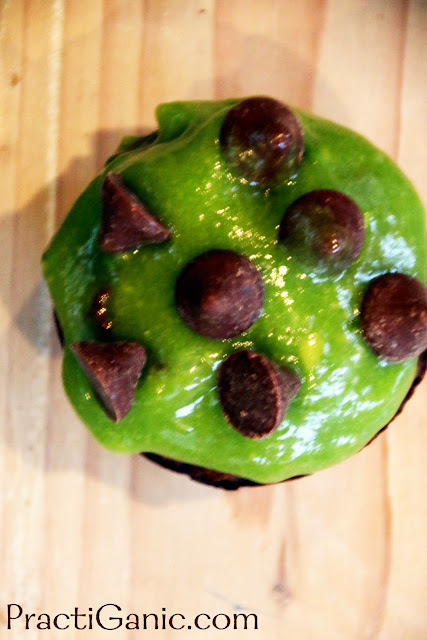 I simply said, 'Chocolate cupcakes with green frosting'. That response didn't go very far as most people looked at me with fear in their eyes and asked, 'No, really, what are they?' They are a bit firmer like a brownie, not a moist, fluffy cupcake so people knew they were not the usual cupcake. I told the truth and to my surprise, they went over very well. Most of the women kept it on the hush hush so that the kids and men wouldn't know and would still eat them. It was if knowing what they were would stop someone from even trying a bite. Why is our society so scared of different ingredients ... not the 'normal' way of making things? What is 'normal' anymore? Fast food? GMO food? If that's normal, I'm glad I'm not! I'm not gluten free, vegan, raw or any other type of food category that people want to place (okay, I am technically a vegetarian), but I enjoy the change and variety of cooking styles and dietary needs and I think it's healthy that we all do. Shouldn't we all cook outside of the box a little more? Don't forget to try my Green Machine Brownies! 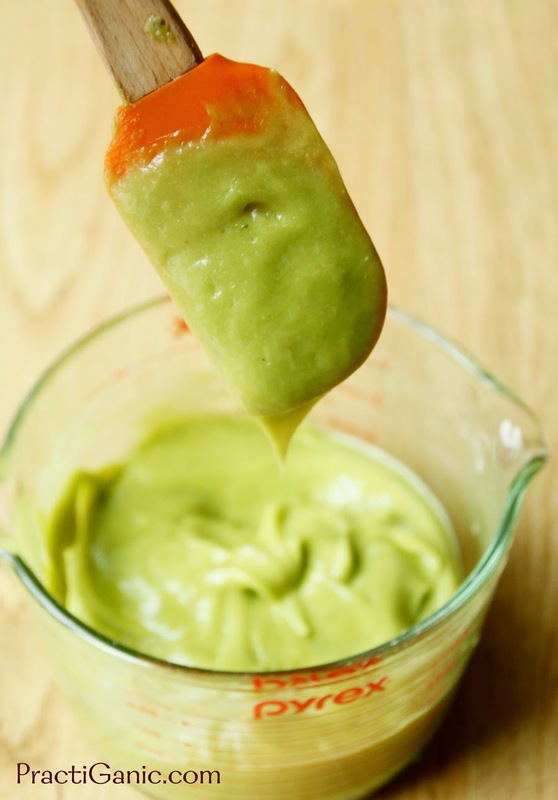 A different style of avocado frosting topped on a kale and zucchini brownie! The frosting on the Green Machine Brownies is more of a avocado chocolate ganache and is very rich tasting. It is also great on the Black Bean Cupcakes because these aren't that sweet. *Using peppermint extract would be delicious too! Mix all ingredients, accept for the chocolate chips in a food processor. Make sure the beans are completely puréed. Fold in chocolate chips by hand. Fill your sprayed and floured muffin tin 3/4 to almost full, these will not rise. Bake at 350° for 30 minutes. When you can put a toothpick in the middle and it comes out clean, they are done. Let cool on a wire rack. Meanwhile mix together your frosting ingredients. Let muffins completely cool before frosting them. I had a few chocolate chips left over so I sprinkled them on top for a little more decorations.